This article first appeared in Options, The Edge Malaysia Weekly, on October 15, 2018 - October 21, 2018. 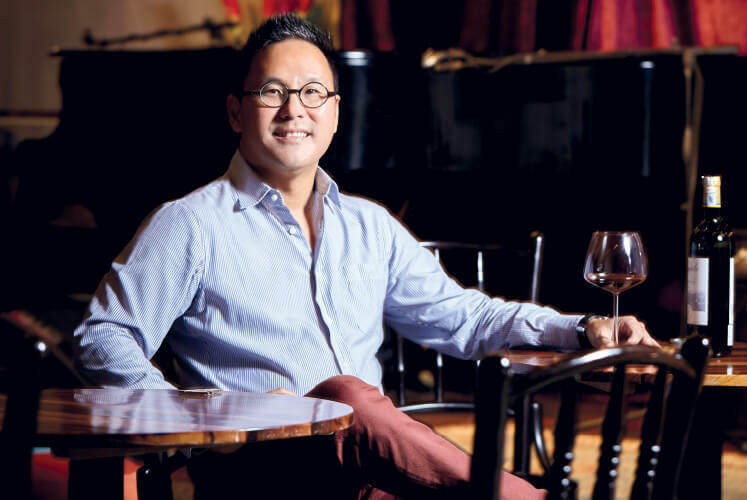 Educated, enlightened and enthusiastic, Edward Soo is more than just a restaurateur. The lawyer and entrepreneur talks to Mae Chan about his journey in the food and beverage industry, what drives him and some of the ideas that have been brewing in his creative mind. It is a late Friday morning when I venture up an inconspicuous flight of stairs — its walls lined with a mishmash of artworks — and arrive at Bobo Kuala Lumpur, the newest restaurant operated by Edward Soo with his partner Peter Yew. The word “new” is relative in this case as Bobo, along with its bar and performance lounge upstairs, has been up and running for close to three years now. But in comparison with the duo’s four other establishments in Jalan Bangkung in Bangsar, Bobo is a baby. With Opus, Cava, Leonardo’s and Lucky Bo, the combined presence of Soo and Yew on the quiet but chic address has made them, backed by different groups of investors, the unofficial mayors of the hip suburban strip. Soon after I arrive, Soo rushes up the stairs, and after a quick introduction we talk about the next most obvious thing in the room — art, lots of it. Consisting of what can only be described as an eclectic mix of local and foreign art pieces, the abstract, the contemporary and many more in between covering the walls, it is not hard to picture how the space transforms into a cosy Parisian-style bistro in the evenings or how the piano lounge comes alive. The owner of these artworks could have talked about them for the rest of the day and I would have listened enthralled, but it is close to noon and hunger pangs lead us back downstairs to Lucky Bo, where a good lunch crowd is already building up. For the full story, pick up a copy of The Edge Malaysia (October 15, 2018) at your nearest news stands or visit optionstheedge.com.